After spending much of my life struggling with acne, I&apos;ve been lucky in recent years — thanks to my dermatologist, a spironolactone prescription, my favorite chemical exfoliator and these weird blue pills — to get my breakouts almost entirely under control. But even though I don&apos;t really struggle with chronic or cystic acne anymore, I do still occasionally experience random spots here and there. If they&apos;re run-of-the-mill whiteheads that are close to my skin&apos;s surface, I deal with them by letting my beloved CosRx pimple patches work their magic overnight. But last week, as some sort of cosmic retribution for my recent run of Good Skin, I wound up with the type of deep, painful pimple I&apos;d thought were a thing of my past. It was the kind of blemish I felt brewing beneath the skin for days before it became visible, and unfortunately also the kind pimple patches are mostly powerless against. I hauled out my go-to salicylic acid and glycolic acid exfoliators, but because it&apos;s winter and my skin is also insanely dry, those only seemed to make the spot even angrier and flakier. 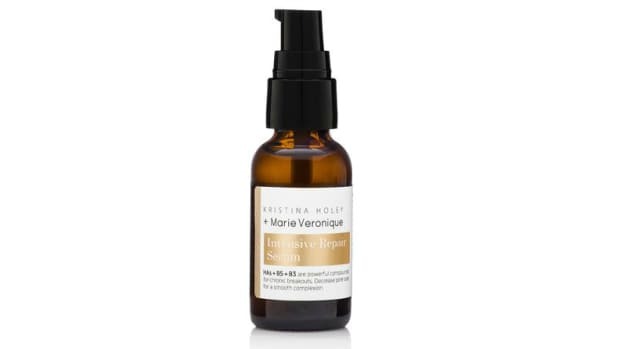 Then I received a bottle of Votary&apos;s Blemish Rescue Oil during a meeting with the brand&apos;s publicist, and I practically couldn&apos;t put it on my face fast enough. The whole concept behind this natural face oil/pimple treatment is to hydrate and heal breakouts, rather than dry them out or attack them. 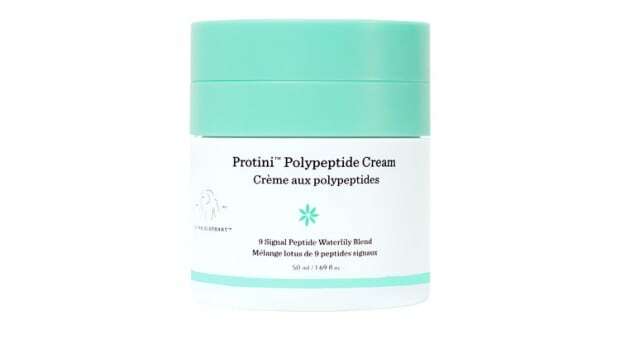 Sure enough, within 24 hours of having dabbed a tiny drop of this stuff onto my pimple, it had diminished in size and redness pretty drastically. The anti-inflammatory blend features an antioxidant-rich grape seed oil base, mixed with rice bran, peach kernel and oat kernel oils. 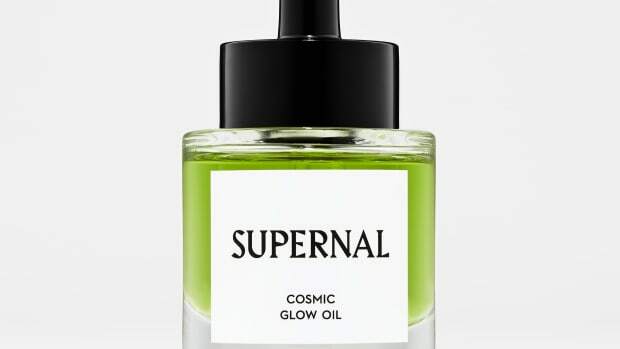 Those make for a moisturizing cocktail, which is then spiked with blemish healers like salicylic acid (a classic pore de-clogger) and tamanu oil (which has been shown to combat scarring and dark spots). At $52 for a tiny half-ounce bottle, this stuff is not cheap. 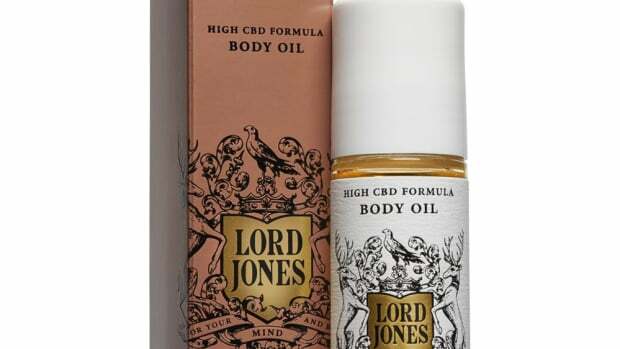 But it is effective, and considering you only need to use one drop to spot-treat with it, it should have a bit of longevity. 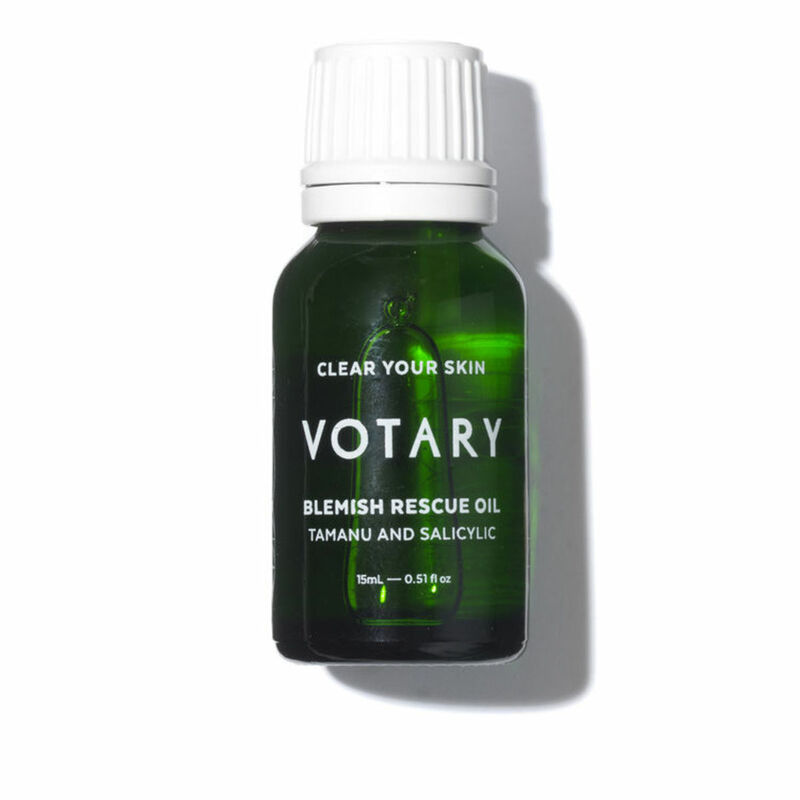 Votary Blemish Rescue Oil, $52, available here. It leaves skin glow-y, but not feeling like a Slip 'n' Slide. I may be a beauty editor, but I'm very much not immune to hormonal skin issues.